Vikki Vargas has been part of the NBC4 Southern California news team for more than 35 years. Based in Orange County, she is the Bureau Chief responsible for gathering and covering the region’s major news stories weekdays for the NBC4 News at 11 a.m., 4 p.m. 5 p.m. and 6 p.m. Her most recent news stories can be viewed here. Follow her on Facebook here. Recognized for her versatility and journalistic integrity, Vargas has covered a number of national and international stories while at NBC4, from the Republican National Convention to the release of the American hostages in Iran. Some of her most notable local stories include the first to break the news and video of three inmates who escaped from an Orange County maximum-security jail, the Christopher Dorner manhunt, the Seal Beach hair salon massacre and the federal indictment of Orange County's former Sheriff Mike Carona. During her career, Vargas has won numerous honors and awards for her professional achievements and community involvement including the Sky Dunlap Award, the Orange County Press Club’s highest honor for career achievement and community service. She was also part of the team that won a national award from the Society of Professional Journalists for online deadline reporting on the lock down at Cal State Fullerton in 2012. 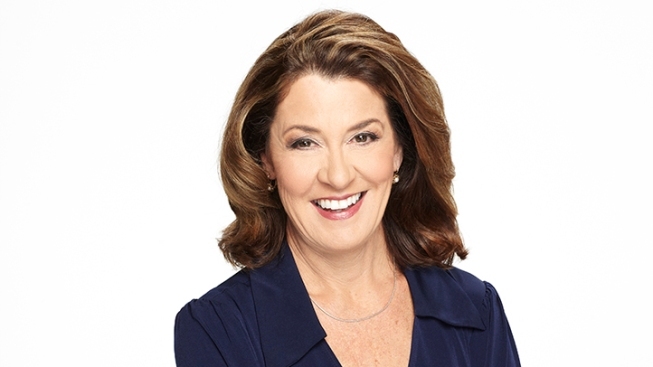 Additional awards include a Golden Mike, a State Bar Association Award for ‘Outstanding Reporting,’ the Orange County Press Club Award for ‘Best News Reporting,’ and she was part of the team that won a Los Angeles Area Emmy Award for ‘Best Newscast’ in 2008. She also received the prestigious Lifetime Achievement Award from the National Hispanic Media Coalition and received an Avance Award from the Hispanic Americans for Fairness in Media and was named Latina of the year by the National Latino Peace Officers Association in 2006. Vargas was recognized by her alma mater, California State University, Fullerton, with the Vision & Visionaries Award, the highest possible tribute given by the school to alumni. Vargas is passionate about giving back to the community and remains active with the California State University, Fullerton. Vargas, in partnership with the station, established the ‘NBC4-Vikki Vargas Scholarship,’ which is granted to a Cal State Fullerton journalism student annually. Additionally, Vargas was recognized by the Orangewood Children’s Foundation with the General William Lyon Crystal Vision Philanthropy Award for her work with foster youth in the region. A native of Downey, she resides in Orange County with her husband and daughter.